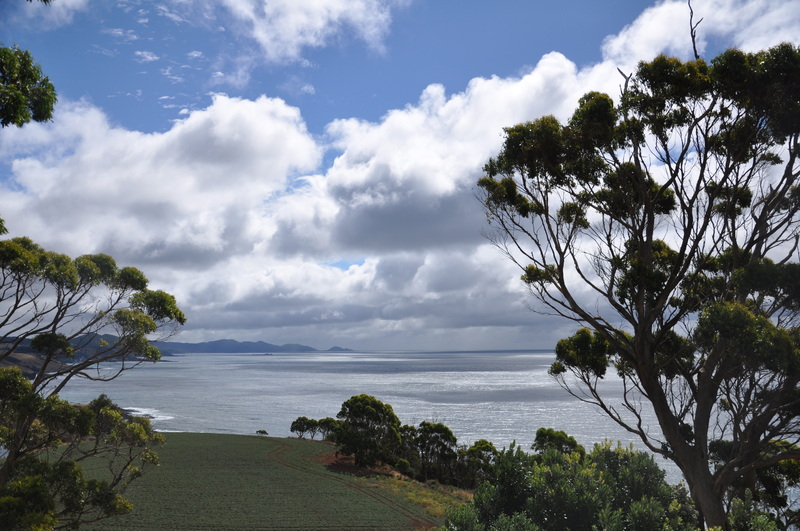 We went away last weekend to the North West of Tasmania, an area of the state that I hadn’t been to before. It is so beautiful up there. 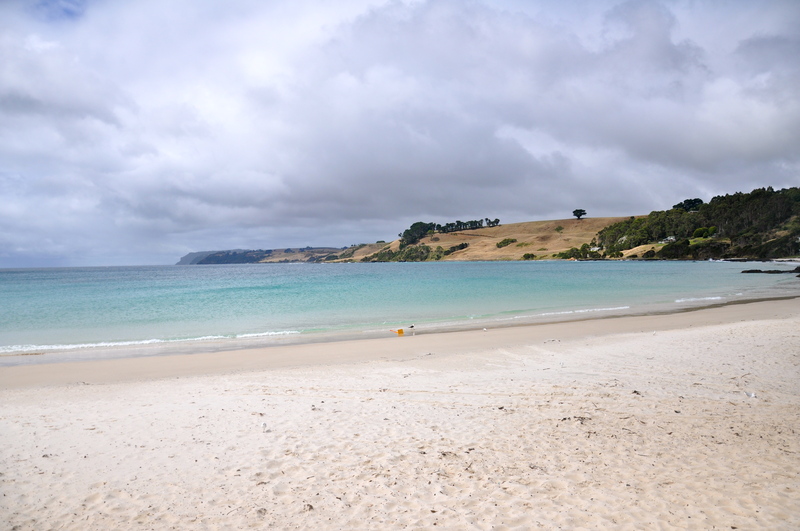 The drive is quite a long one – it took us about four and a half hours from Hobart – but that included a couple of short stops. The Midlands Highway is a very pretty drive, and DorkySon had great fun looking out for the metal sculptures that are dotted along the edge of the road. We were staying with some of our oldest and closest friends, who have recently moved to Tasmania. We first met almost ten years ago in Edinburgh, when we were two relatively new couples. Now we are married and they are married. We have a son and they have a daughter. It is strange but wonderful that we have both somehow ended up on this small island on the other side of the world. We packed a lot into a couple of days. A visit to the beautiful beach at Boat Harbour – a very mellow little place where I can definitely imagine going for a longer break. A walk around Wynyard in the sunshine. A lovely lunch, including some super fresh oysters, at the Seabreeze restaurant. 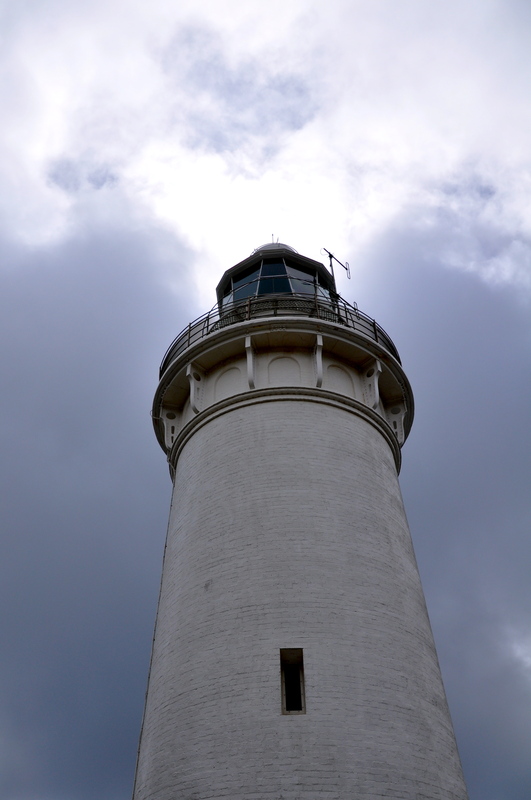 A quick run around the bottom of Table Cape lighthouse in the rain. A visit to the Burnie Makers Workshop, where DorkySon picked up a new badge for his collection. It was all a lot of fun, and I can’t wait to go back again later in the year, hopefully when the famous fields of tulips and poppies are in full bloom. In truth though, we would have been happy even if we hadn’t left the house all weekend. 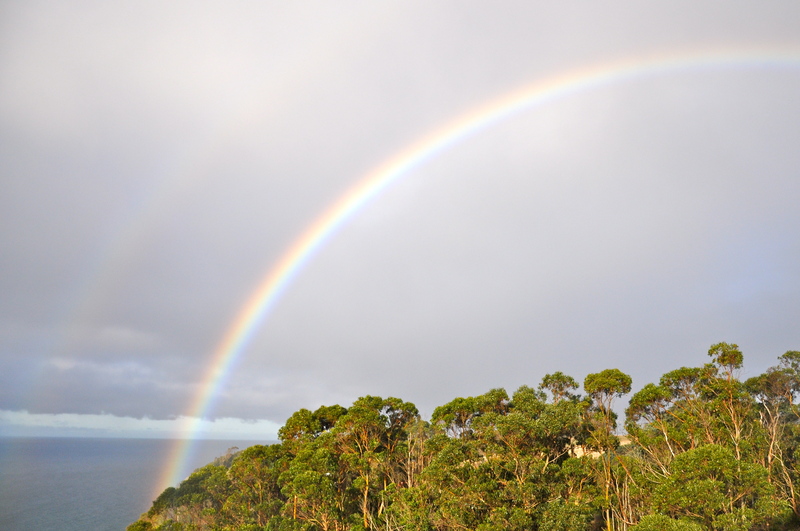 Our friends have a truly cracking view from their house, which is right up on Table Cape looking out to the Bass Strait. By day, the light changes constantly. At night the constellations of the southern hemisphere burn with a brightness and clarity that took our breath away. Later in the year they will be able to watch migrating whales. The four of us could have easily sat on the sofa and looked out the window all weekend, catching up on news, drinking Tassie wine and beer, and watching our children slowly get to know and love each other. It was grand. We left the North West with big smiles and full hearts, knowing it won’t be long until we make the drive again. When we got home from Table Cape, DorkyDad had to quickly unpack and repack for a work trip overseas. Usually when he travels I try to make sure that I have at least one small thing in the diary each day – coffee with a friend, a session of pilates, an interview or event for the blog. Just something. Working from home means that if I don’t make the effort, I could easily go four or five days without any adult conversation. What has been so nice about the week this time is realising how much some of those new friendships that I’ve made since moving here have really started to develop and deepen. People who I initially made contact with by email when we were thinking about moving then became people who offered me a welcoming coffee and a playdate for DorkySon after we arrived. And now some of them have progressed from coffee-and-playdate friends to lunch-with-wine friends, where we sit for two hours instead of one, and we talk about history and politics and the arts, rather than just making small talk about the weather. They have turned into friends who bring flowers from their garden. Friends who lend me books. Friends who share embarrassing stories from their student days. Not yet old friends, but not new ones anymore either. It’s nice. Really, really nice. As we’re on the subject of friendship, I have a post up over at Mamalode today about children’s birthday parties. It’s called Sharing the Cake is Never Easy. Glad you’ve made it to the NW Coast. Next time you’re going to be up that way, drop me a line – I know one or two people there still who you may be interested in meeting. I was born in Burnie, moved away, went back, moved away. It’s a very special part of the world. I am so glad you are settling in so well my love. Really love hearing how you are all getting on. It does take time to meet people. Actually meeting people is easy, meeting ‘your people’ takes longer. It took me about me a year when I first moved in with P but can honestly say, the ‘new’ friends I have now are up there with some of the best. Gorgeous- I love Tassie so much, it’s so beautiful. Sounds like you had a great time. Ah it makes me so happy to read this and as usual I find myself feeling calm and peaceful reading your blog. What a delightful coincidence that your friends made the move too! I am very interested in friendships, how they form, and how they last/continue. Really – I think of friends I have had since I was 10 – and how many I have reconnected with on Facebook. It gives my life a grounded center, yet not all are close; some are quite distant, but still so important. And then there are blog friends. You know exactly what I mean – reminds me of 84 Charing Cross Road. We get to know one another without faces, voices – just words. I really appreciate that. And you. I really appreciate your writing and thoughtfulness… Happy weekend! Oh just lovely Ruth, friends are such a blessing aren’t they? It looks so gorgeous over there. And as for friends. Good friends are amazing, yet I think so many of us today (me included) have sadly lost the art of making friends. I know in my case I struggle in the real world. Sometimes I feel that the friends I make online are actually easier friendships. Does that makes any sense? Oh wow, a breathtaking post!